New Suzuki Access 125 recall announced | IAMABIKER - Everything Motorcycle! The Suzuki Access was the first scooter to offer the idea of ‘power’ and ‘performance’ in a scooter with its 125cc engine back in the day when 100cc was the norm. The Suzuki Access 125 was much quicker and could even show a wheel to the commuter bikes of the era. What’s more, the Suzuki Access 125 was also built well and more comfortable too besides being reliable and dependable. Keeping with the trend of ‘Modern Classic’ design like Yamaha have done with the Fascino and Piaggio has done with the Vespa line-up, the Suzuki Access 125 was updated by the company in March this year to reflect the elegant and retro inspired looks that embody the ‘Modern Classic’ design language besides some other updates. However, it turns out that a flaw has been detected in the newly refreshed Suzuki Access 125 and Suzuki has decided to recall around 54,000 units of the new Access 125 scooters to inspect and replace the rear axle shaft. Suzuki Access 125 scooters manufactured between 8th March and 22nd June of this year will be covered in the recall exercise to inspect and replace the rear axle shaft of the scooter. The recall comes in the wake of a slew of recalls announced in India, notably the R3 from Yamaha and the Himalayan from Royal Enfield. The recall is said to be a safety measure as issues of rear axle/wheel stability have been identified in some of these scooters by Suzuki. The company said that the replacement of the components will be done free of cost and that it will offer free periodic maintenance service to all the customers at the authorised service centres of Suzuki. Suzuki dealers have started contacting the owners of these Suzuki Access 125 scooters from 13th July onwards. The Access 125 is the largest selling scooter model for Suzuki in India with a total of 19,390 units of the Access 125 sold in the month of May. 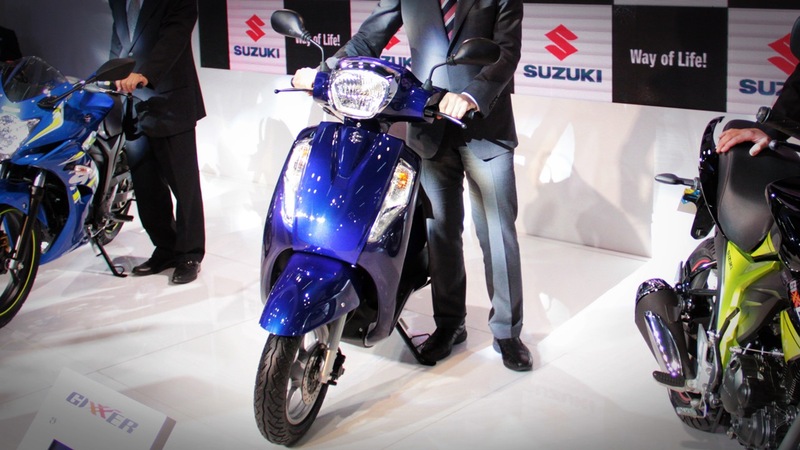 Suzuki had updated the model to garner even more market share in the 125cc scooter segment. The new Suzuki Access 125 is powered by a 125cc, single-cylinder, OHC air-cooled engine which produces 8.7 hp at 7000 RPM. The scooter is equipped with features such as an optional front disc brake, alloy wheels, the Suzuki Easy Start System and a multi-function instrument cluster with a digital display and is priced at Rs. 53,887/- (ex-showroom, Delhi).